Love them or hate them – hashtags are the best free way to promote your services on Instagram. Despite the fact that more than 500 million people use Instagram daily, its search function is limited. If you’re looking for something – you can search by name, location or hashtag. That’s why it’s essential to add hashtags to your posts if you are selling goods and services and want people to find you. The first hashtag #barcamp was created to streamline and follow the conversation on Twitter. Now hashtags are much more than just a way of navigation for posts and comments. It’s a great tool to find your audience and to market yourself on Instagram. Hashtags are a convenient and an absolutely free way to promote your content. That’s why we decided to create a complete guide on how to use them to get more followers, likes, and leads. You need to combine different types of hashtags to promote your page. Each group performs a specific function – some of them attract new followers, some inform about your industry and some drive leads. Here are 4 main hashtag groups that you can use. The first thing you need to do when you start to promote your page on Instagram is to create the hashtag for your brand. You can use your company name or think of a catchy phrase which might be associated with your brand. 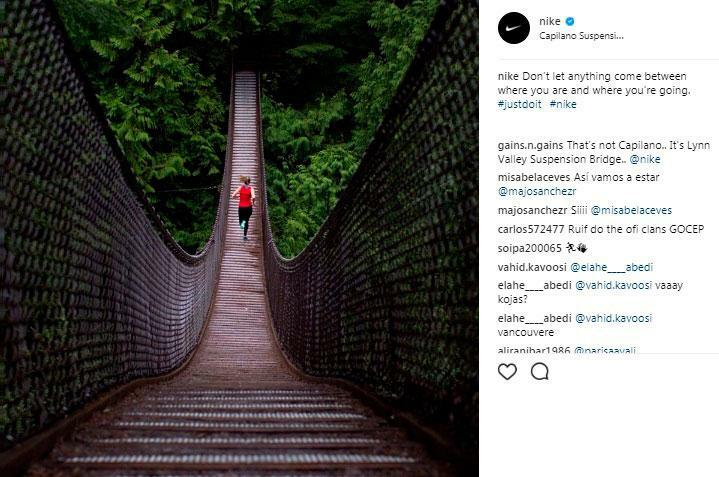 For example, Nike uses several branded hashtags – #nike and #justdoit. If you’ve just created a page – be ready to wait to get the first results. Brand hashtags don’t attract thousands of likes and new subscribers at once. They help you create an online portfolio and easily track user-generated content. Try to monitor what kind of hashtags are popular in your industry. It can be the name of your niche, for example, #marketing or something more specific like #onlineadvertising or #seo. Such hashtags are widespread and competition is very high, so these hashtags can attract bots and commercial pages. However, they can kick-start your promotion as you can get new followers. Hashtags which contain location are the most effective ones if you are selling goods or services. Competition with these hashtags is much lower and the audience is more targeted. People who are looking for services by local hashtags are much more interested in purchases. Brands often run contests and campaigns and track the participants by certain hashtags. Canadian brand Ryu ran an Instagram campaign #WhatsInYourBag. The aim was to promote their brand and to collect user-generated content. Participants had to make a photo of what they carry in their bags and tag the post with the hashtag. As a result – they gained hundreds of new followers and the hashtag #WhatsInYourBag was mentioned 20,000 times. Some people claim that Instagram hashtags are not effective anymore. Of course, it would be so if you use random hashtags in your posts without any strategy. The main secret is that you need to combine high-density and low-density hashtags wisely. High-density hashtags are the ones which are used more than 500,000 times. 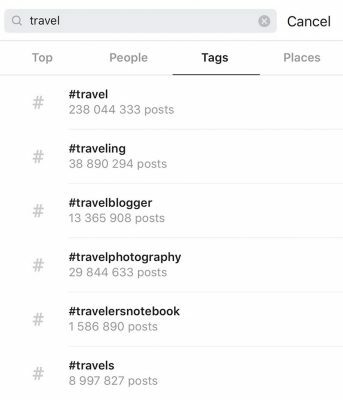 You can check the number of publications linked to any hashtag when you type it in the Instagram search bar. You don’t need to use many of them in your posts, however, add one of them to emphasize the topic. Low-density hashtags are much more effective if you want to find a more targeted audience. These are hashtags with less than 500,000 mentions on Instagram. Don’t hesitate to add hashtags with several thousand mentions – it might be a small community of people with the same interests related to your sphere. But where do you look for these hashtags? Let’s find out! The most widespread hashtags are simple words. However, it’s almost impossible to rank in top 9 results for them unless you have a popular page with thousands of subscribers. Despite the fact that such hashtags attract bots and commercial pages, it’s a good way to gain your first followers. Popular brands and people always use at least one of these hashtags and it works for them, so it might work for you as well. If you run out of ideas – try to find out what your competitors are doing. 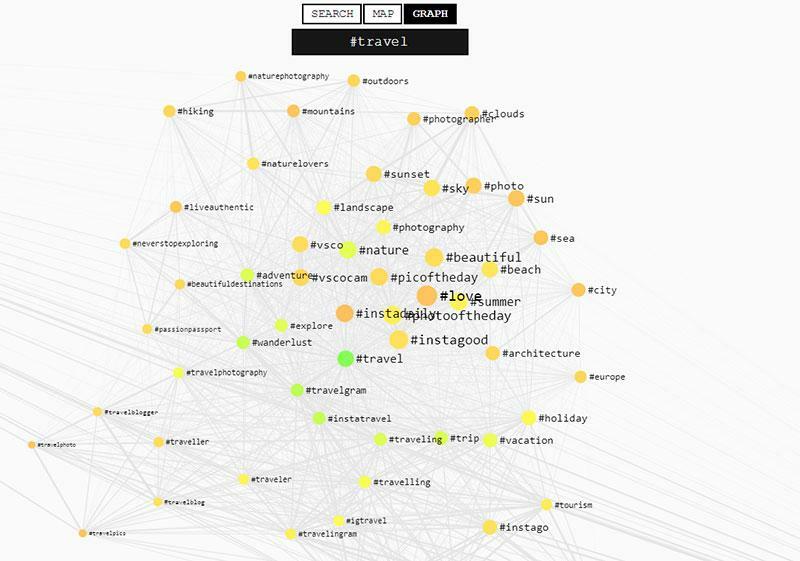 First, look for the top companies working in your industry and research their pages on Instagram. Write down what types of hashtags they use and how often. Do they use general hashtags, niche or branded? How many hashtags do they add to their posts? The best way to learn is to learn from the experience of others. It would save you from making mistakes and help you create a plan of promotion which has already worked for someone else. Follow your industry influencers. 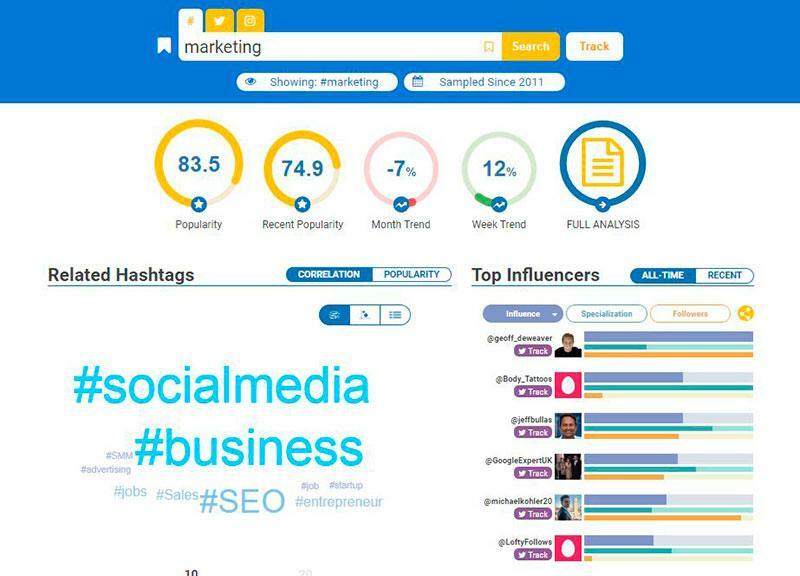 You may use the tool hashtagify to find top influencers in certain industries, popularity of hashtags, trends and related hashtags. You can look for hashtags related to a certain topic on Instagram – just type your keyword in the search bar and click on “tags”. You’ll be able to see the most popular hashtags on that topic, their density, and related hashtags. 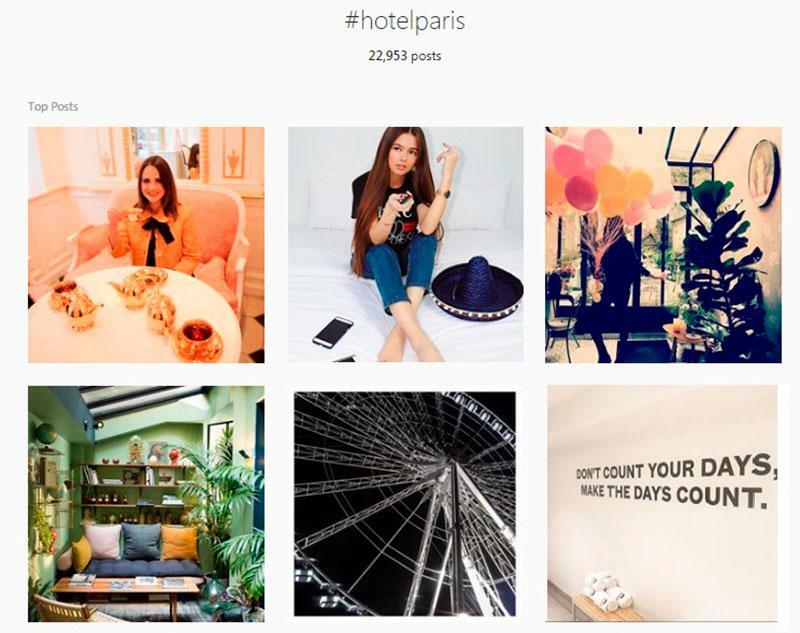 If you can’t find the hashtag you need on Instagram – use online tools. Try Displaypurposes, it’s easy-to-use and free. Type one or several hashtags in the search bar and it will generate 30 hashtags. You can also view the graph with the most popular hashtags related to the certain topic. You need to carefully plan your campaign to see the results. Then try to plan how many hashtags you are going to add to your posts and how often. You may add as many hashtags as you want – posts with 11+ hashtags get more interactions on Instagram. 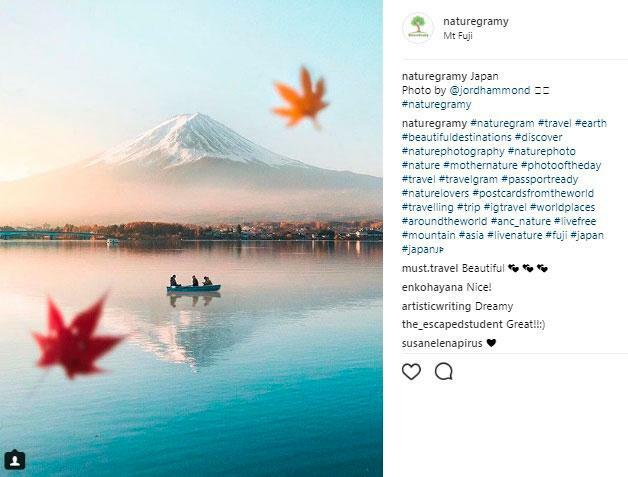 If this is too much – you may hide your hashtags, we’ve already described how you can do this in the article on hidden Instagram features. Add one or two niche hashtags, several location hashtags, and a brand hashtag to each post. Try not to use the same hashtags each time because the same audience will see them. It’s really hard to find out whether your promotional strategy is working or not. Luckily, we can use tools that can help us measure hashtag performance. One of them is a popular social media management tool Sproutsocial. 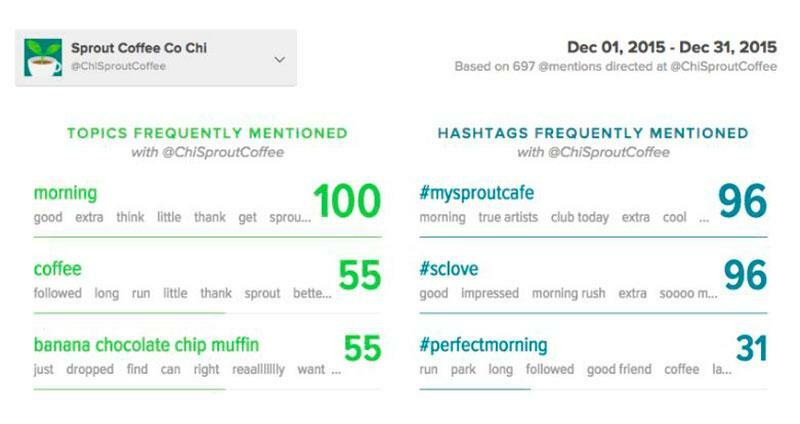 Sproutsocial allows you to track the hashtags you use and their engagement. 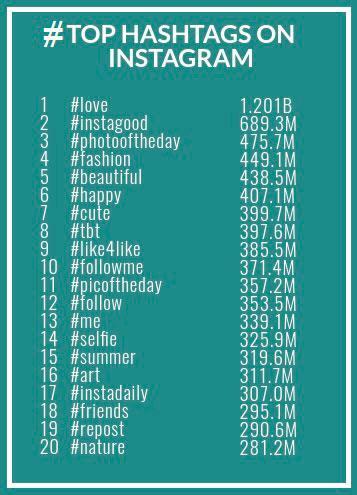 After you set a certain time period you get two lists – the most used hashtags and the most engaged hashtags. These analytics help you understand what kinds of hashtags you should use more often and which ones don’t bring any benefit for you. Another tool you can use is Command. It also provides you all the important data on engagement and tracks each hashtag you’ve used. Moreover, you may easily find out how many likes and comments each hashtag generated. Competition is a great way to promote your services and to get user-generated content. It’s all about interaction with your followers – contests are liked, shared and commented more than regular posts. Hashtags allow you to track participants and spread the word about your company. You can select the winner of your content with online tools, like Tintup – just type in you hashtag, fill the field with your email and get the results. Many brands and communities would be happy to post your image if it is relevant to their feed. All you need to do is tag them and use as many their hashtags as you can – it increases your chance of getting noticed. Your post will be seen by millions of people, so it’s a great way to gain new followers for your account. If you still need some inspiration – check out top photographers on Instagram to follow. 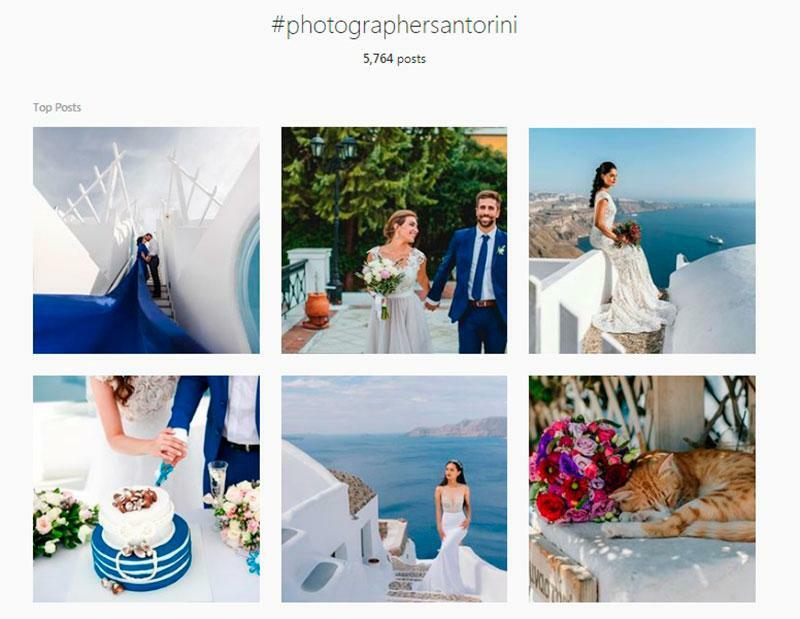 Use our rules, add some creativity and enjoy the results of your Instagram marketing! Even the best content in the world won’t become popular if people can’t find it. Keep pace with the times and don’t forget to follow the latest trends. Good luck!